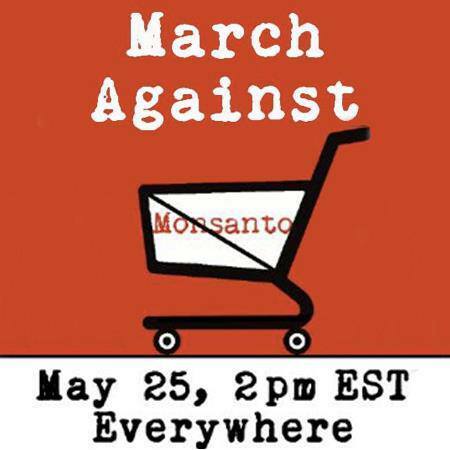 March Against Monsanto, May 25th, Everywhere! On May 25, everyone who is concerned about GMOs is joining together for a worldwide March Against Monsanto. This entry was posted in Events and tagged Genetically modified food, Genetically modified organism, March Against Monsanto, Monsanto by Michael Kinnaird. Bookmark the permalink. I want the list to march against MONSANTO. I AM 78 years old and have raised. 7 children Angry about how that company can poison A nation and begging for change!! Micki Fogarty. There’s a link in the article Micki. Click the “events” tab to view the full list. Use the horizontal scroll bar to find the right link to the event in your location.